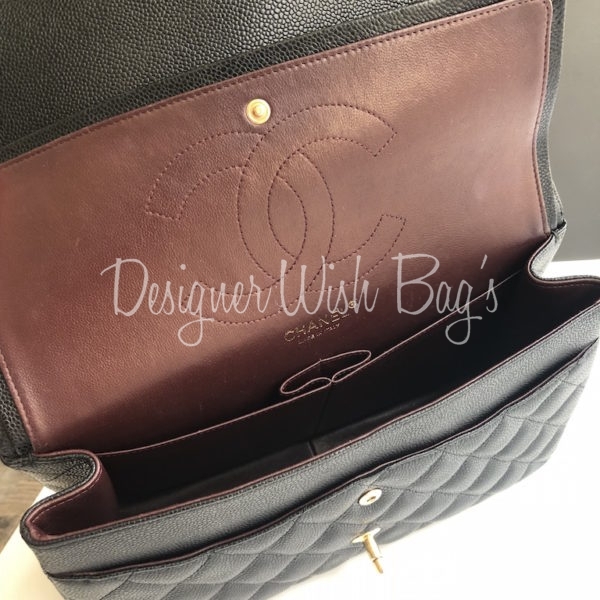 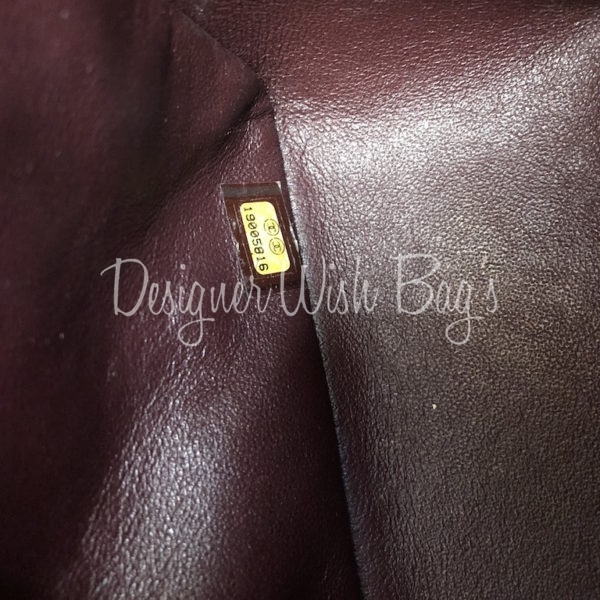 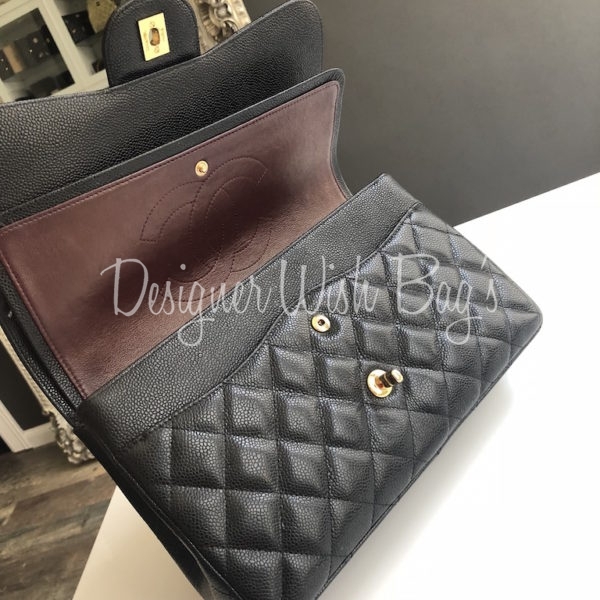 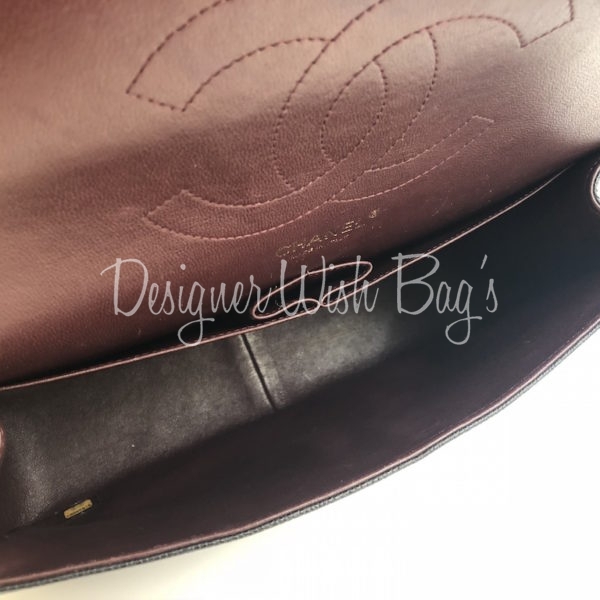 Black Caviar leather with gold hardware and luxury burgundy leather lining. 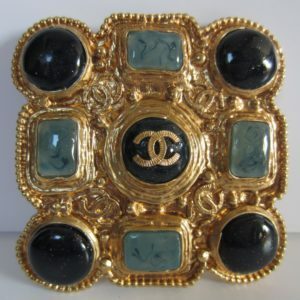 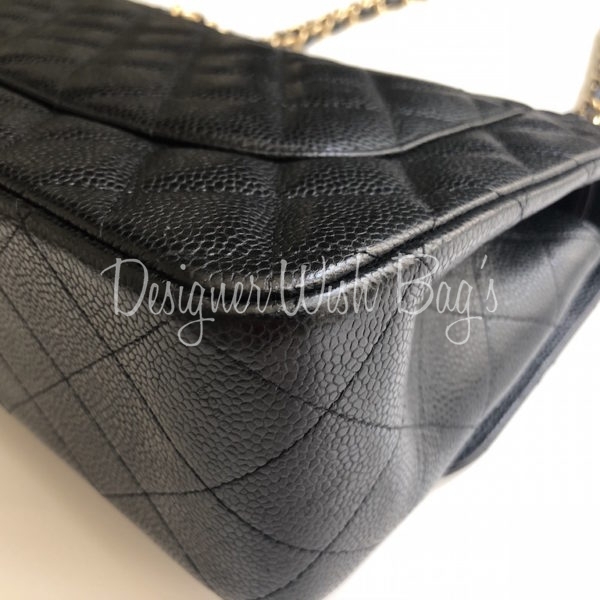 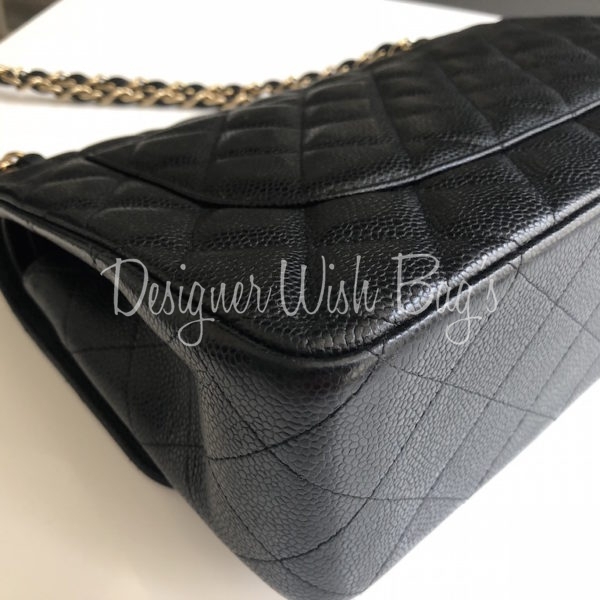 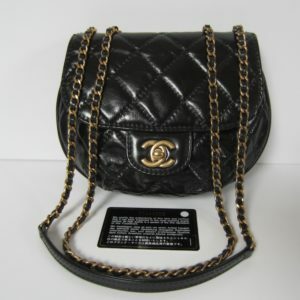 Can be worn single or double chain; shoulder or cross body. 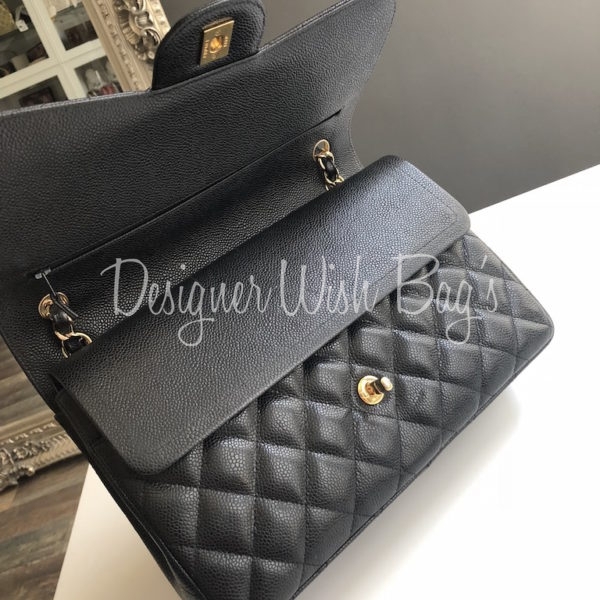 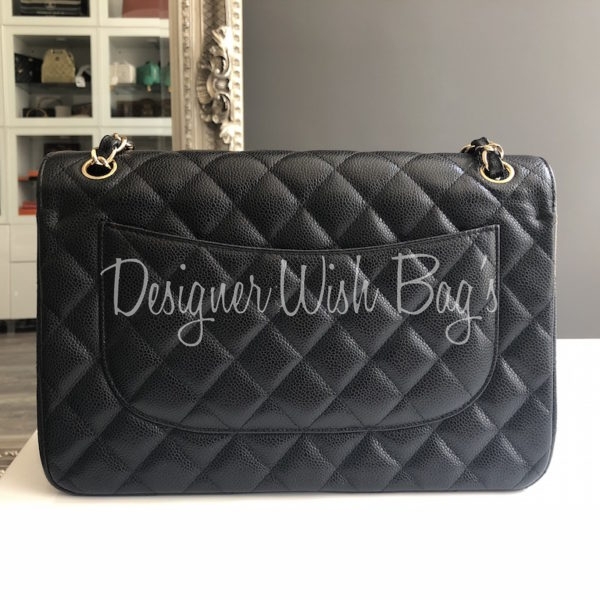 Very roomy, practical and chic bag! 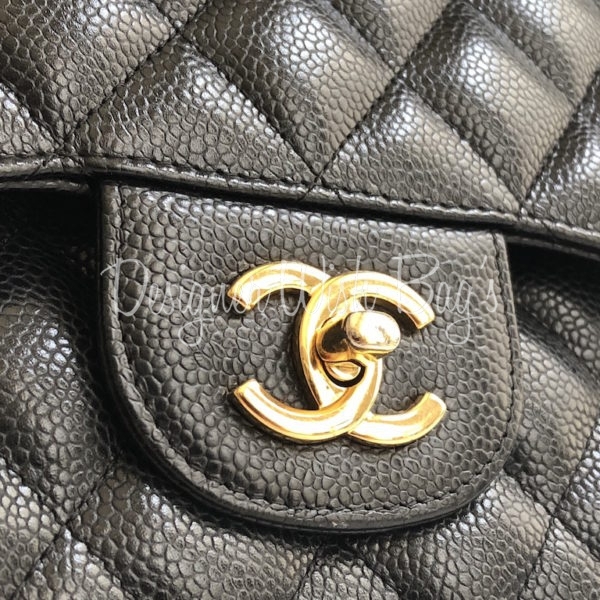 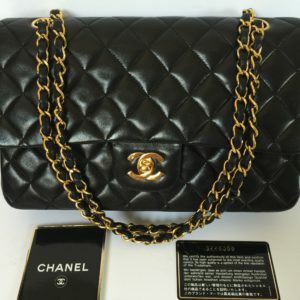 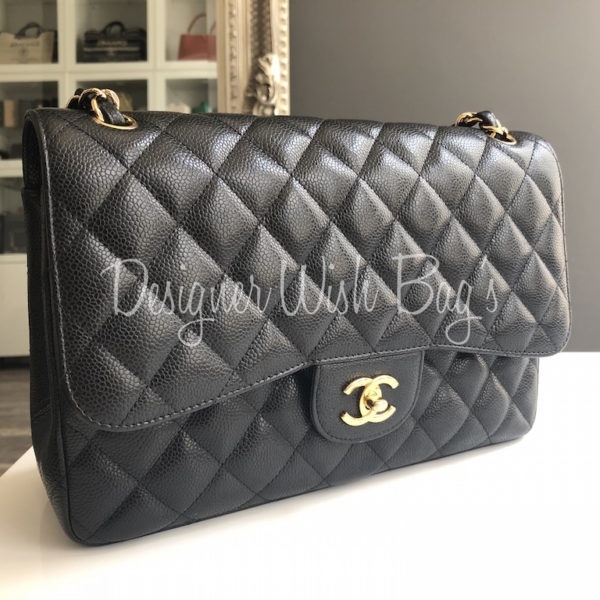 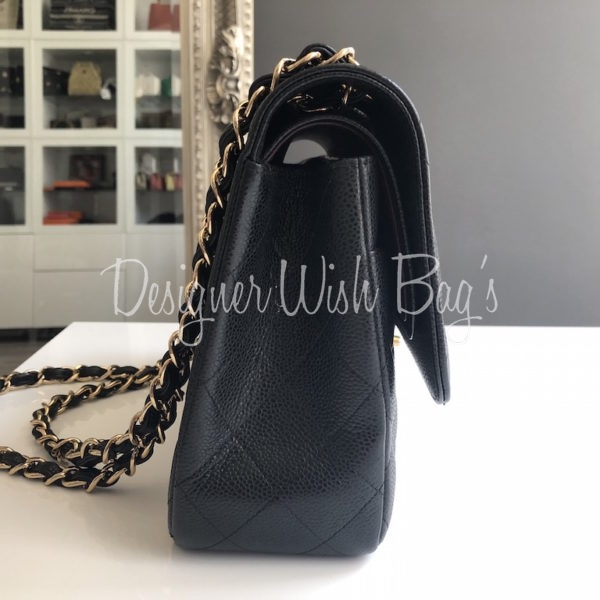 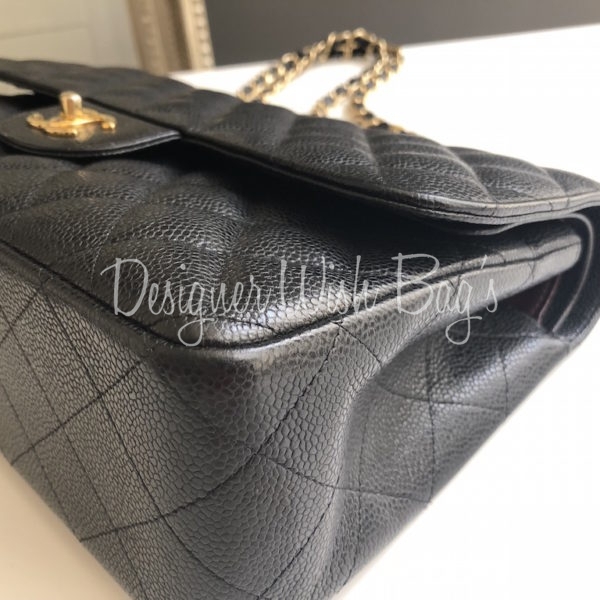 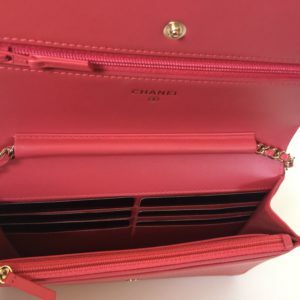 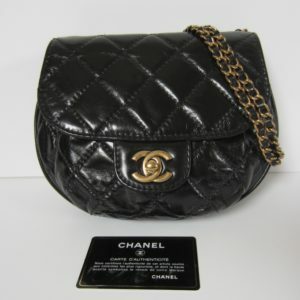 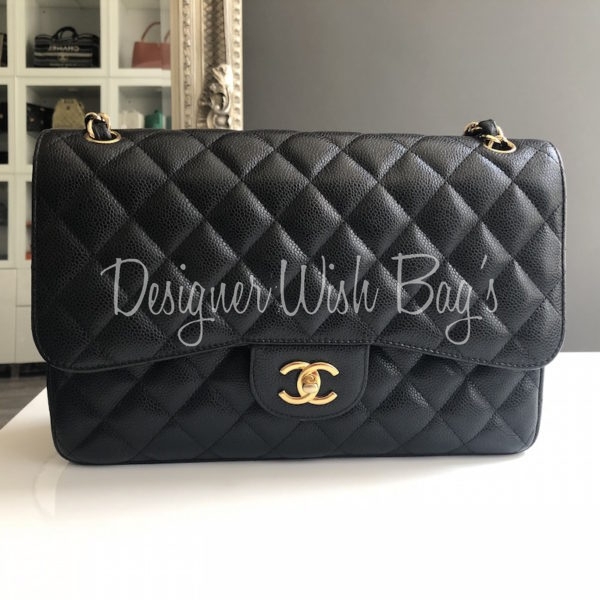 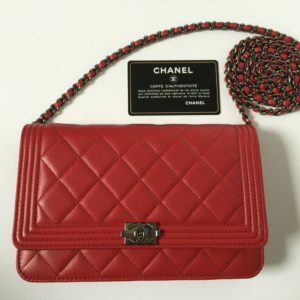 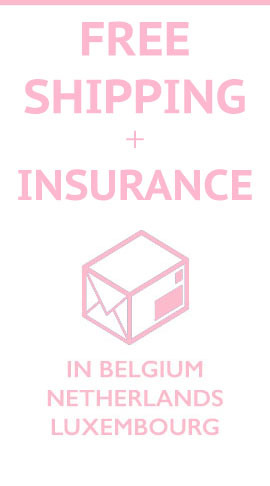 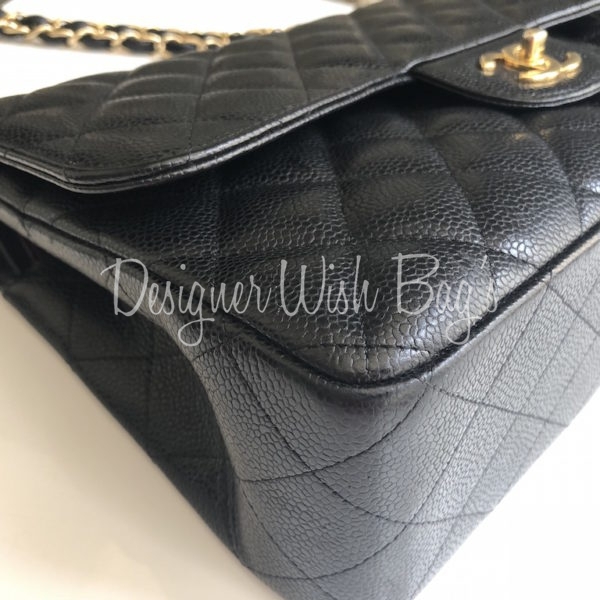 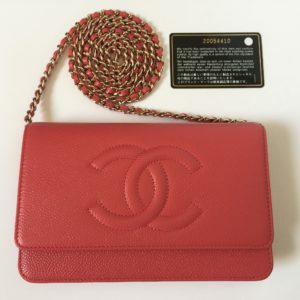 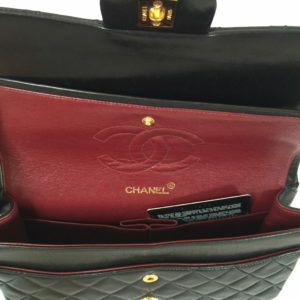 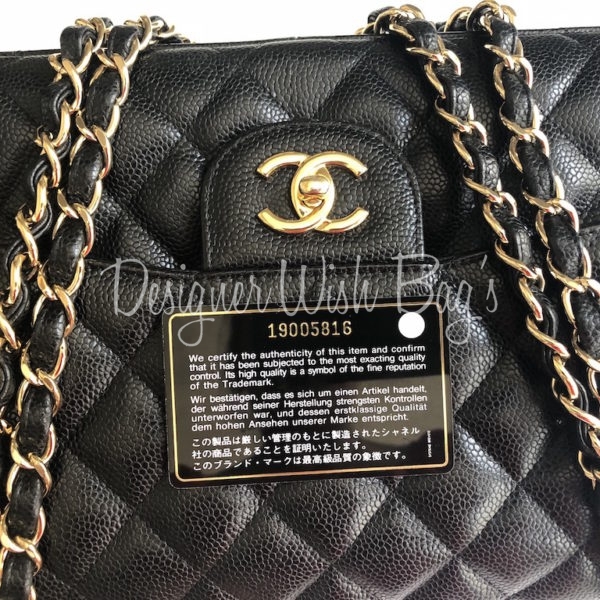 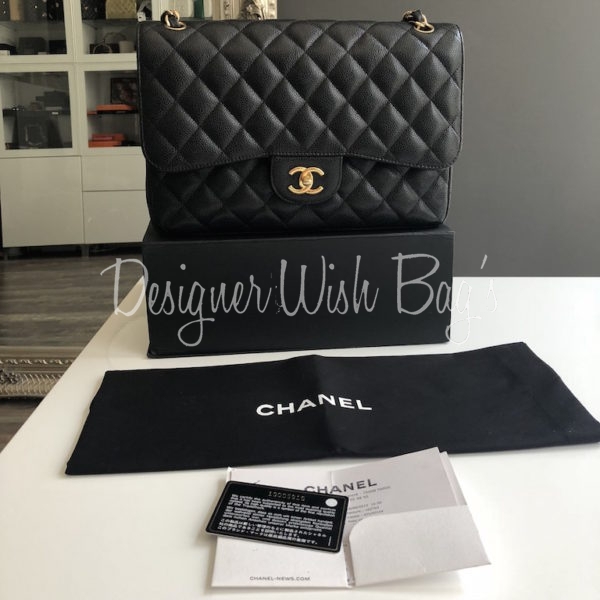 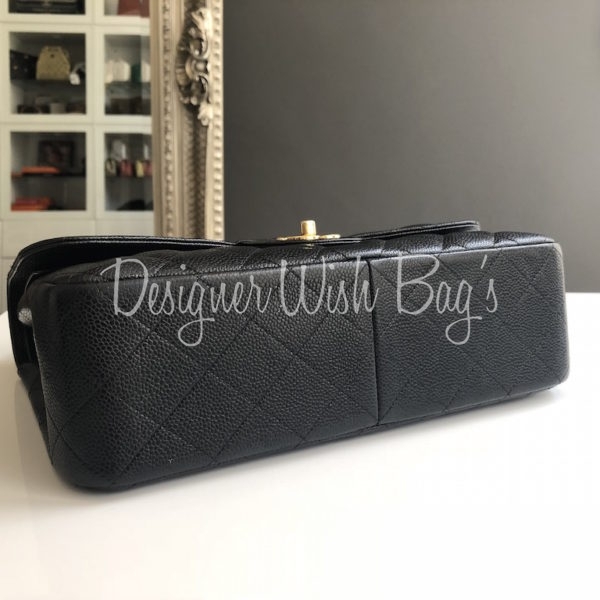 Will be delivered with full Chanel set; Box, dust bag, authenticity card and Chanel receipt.